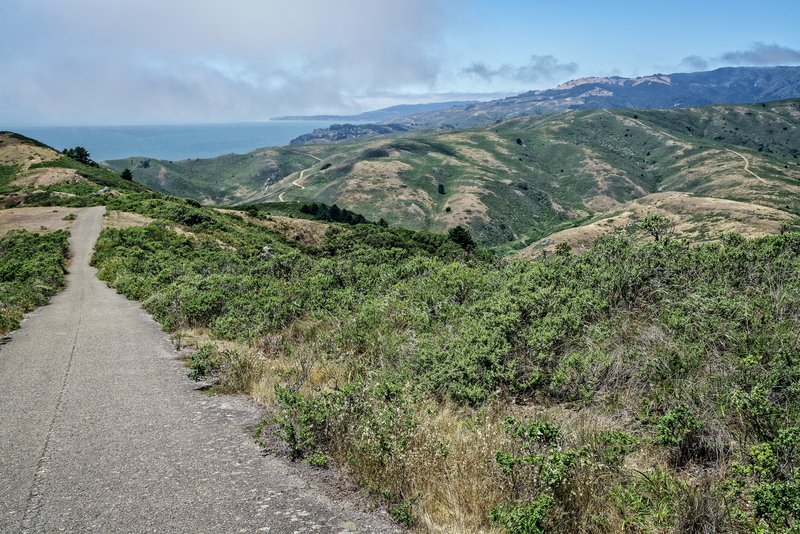 Of California's astonishingly wide variety of locales in which to hike, the Marin Headlands is one of my favorites (along with Lake Tahoe, as I've mentioned before). I most often find my hikes by consulting reviews on AllTrails, and the Rodeo Beach Coastal Trail Loop more than lived up to its high rating, although I took some detours. When I say I like topological diversity in my ocean views, this photo from near the summit of Hill 88 shows what I mean. The Pacific Ocean looms in the background, but leading out to it are hills and valleys covered with greenery and soil. Hiking trails stretch into the distance. I don't want a lazy day on the beach; I want this adventure.